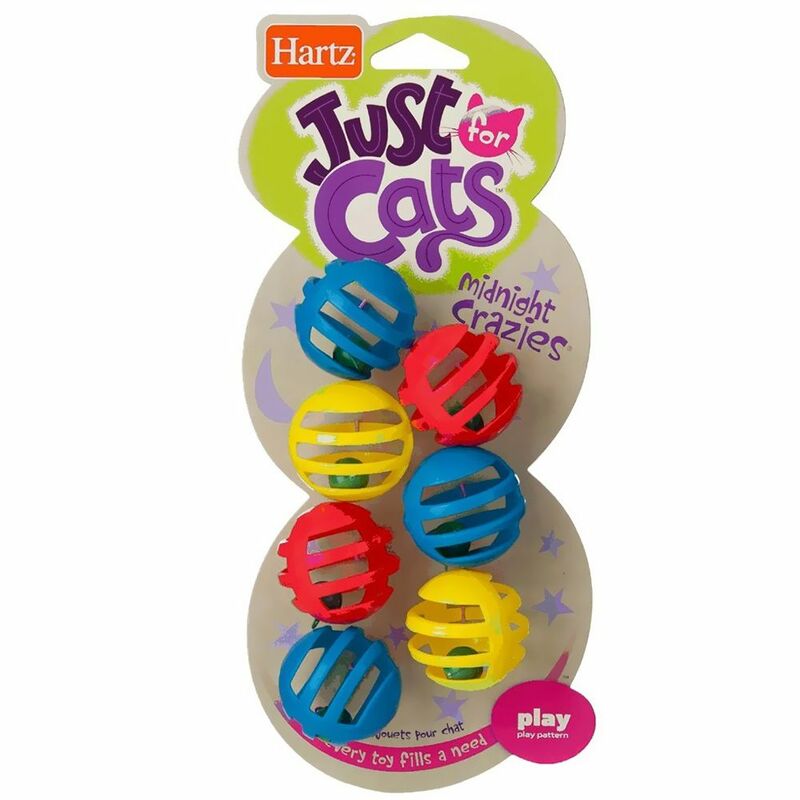 Hartz Just for Cats Midnight Crazies Cat Toys is the perfect toy to keep your cat stimulated and entertained. 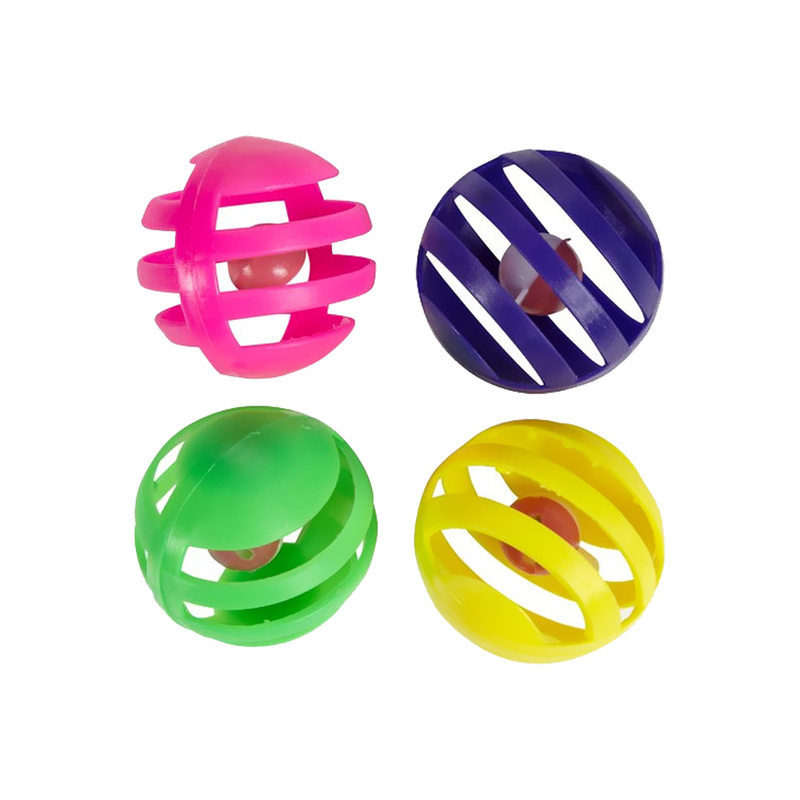 This assortment of balls each contains jingle bells to create noise that will entice your cat to play and keep them delighted. Each Midnight Crazies pack comes with 7 jingle balls in assorted vibrant colors with small jingle bells inside each ball that come in a red and white pattern. Hartz Midnight Crazies allow cats to explore their natural instincts by pouncing and batting around these unique toys. Cats need stimulation to thrive in their environment and prevent them from the lethargy and ennui associated with the life of a housecat who is deprived of the hunting and play of the great outdoors. Your cat will absolutely love these toys, so order them today! Supervise your pet. For play only. Not a child's toy. Toy should be removed and replaced if excessive wear or damage occurs. Just the right size. They zing them all over the house and drive each other crazy with them.. The cats seem to be enjoying them and stepping on them in the dark is not the problem I was afraid it would be.